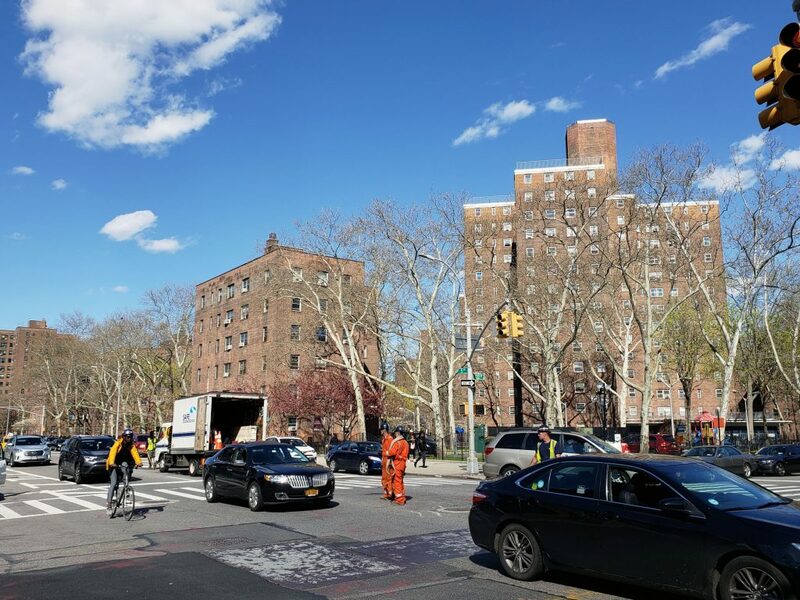 132nd Street, while not counted as a major thoroughfare among the city’s crosstown boulevards, is indeed the cutting-off point for the Fifth Avenue corridor that separates the fairly intact brownstone blocks south to 125th Street from the vast public housing works to the north. It is easy to dismiss the latter as being of no architectural merit, but they represent a time in the city’s history when providing low-cost housing was very much on the agenda, and they have done just that for generations of New Yorkers since their construction in the post-war years. A walk along this last stretch of Fifth Avenue shows the dynamism and mid-century optimism of many of these designs, while plenty of greenery, well-tended gardens and other historic and architectural surprises – including the avenue’s last great Art Deco building – make these blocks much more than a postscript to what has come before.